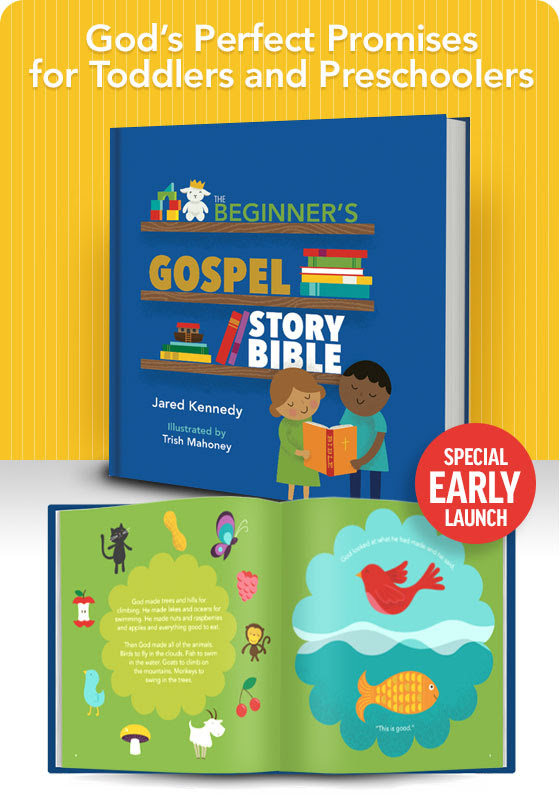 Help Kids Trace God's Promises - The Beginner's Gospel Story Bible releases today! How do you explain the gospel to toddlers and preschoolers? My new book focuses on the promises of God to make the gospel come alive to the littlest hearts. Through fifty-two Old and New Testament stories, The Beginner’s Gospel Story Bible highlights God’s perfect promises and his plan to save his people through Jesus. Trish Mahoney’s colorful illustrations make each story come alive and also add fun teaching elements to hold the attention of even the youngest children. Until November 23rd, 2017, special early launch pricing up to 50% off is available through New Growth Press.